Thalassery is a commercial town on the Malabar Coast in Kannur district, in the state of Kerala, India, bordered by the districts of Mahé (Pondicherry), Kozhikode, Wayanad and Kodagu (Karnataka).It is the largest populated municipality of North Malabar. The Europeans nicknamed the town "Paris" or in other words "The Paris of Malabar", as it was the sole French military base in Kerala in that era. Thalassery has been significant during the past 500 years in the development of Kerala. Thalassery municipality has a population just under 100,000. Thalasssery has an area of 23.98 square kilometres (9.26 sq mi). 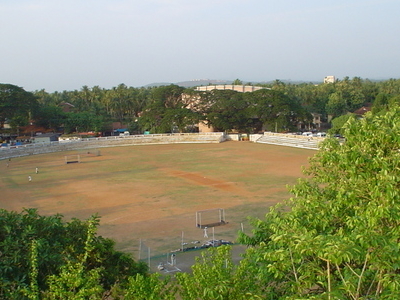 It is 22 km south of the district headquarters in Kannur town. 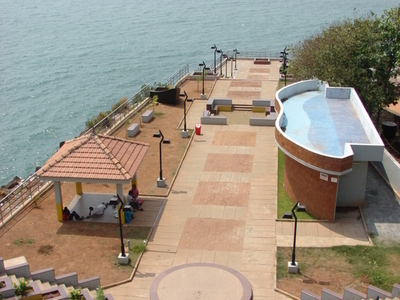 Thalassery is situated in an altitude ranging from 2.5m to 30m above mean sea-level. Thalassery municipality was formed on 1 November 1866 according to the Madras Act 10 of 1865 (Amendment of the Improvements in Towns act 1850) of the British Indian Empire, making it the second oldest municipality in the state. At that time the municipality was known as Thalassery Commission, and Thalassery was the capital of North Malabar. G. M. Ballard, the Malabar collector, was the first President of the municipal commission. Later a European barrister, A. F. Lamaral, became the first Chairman of Thalassery municipality. Thalassery grew into a prominent place during European rule, due to its strategic geographic location. Thalassery has played a significant historical, cultural, educational and commercial role in the history of India, especially during the colonial period. In 9 February 2014, Thalassery taluk was split in two and Iritty taluk was formed. The north eastern hilly region of the former Thalassery Taluk such as Aralam, Ayyankunnu, Kottiyur, Kelakam is within the Iritty Taluk area. Here's the our members favorite photos of "Towns & Villages in Kerala". Upload your photo of Thalassery!